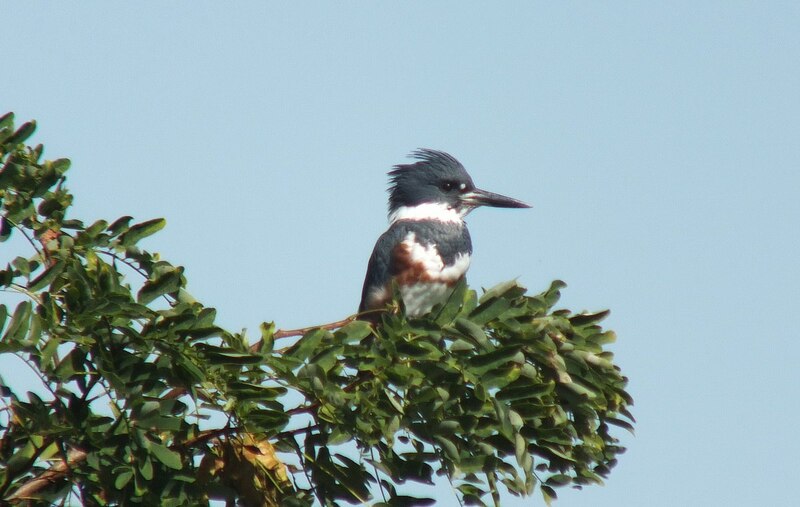 What a challenge to capture any Belted Kingfisher (Megaceryle alcyon) in a photograph! Over the years, as Bob and I have canoed on various lakes and rivers, we have observed countless Kingfishers taunting us with their perpetual cat and mouse routine. Always just one step ahead of us, it seems that these birds are playful at best, and always wait until we are in sight before taking flight for another tree a couple of hundred feet further down the shoreline. This handsome female took no notice of our presence on the observation deck at Colonel Samuel Smith Park in Toronto . It was late one afternoon when we arrived at the Park in search of the Yellow-crowned Night Heron and Green Heron, both of which had been sighted there in recent days. As we scanned the perimeter of the pond, it was the telltale call of the Kingfisher, a harsh rattle, that had my eyes turning towards the sky in search of this elusive bird. 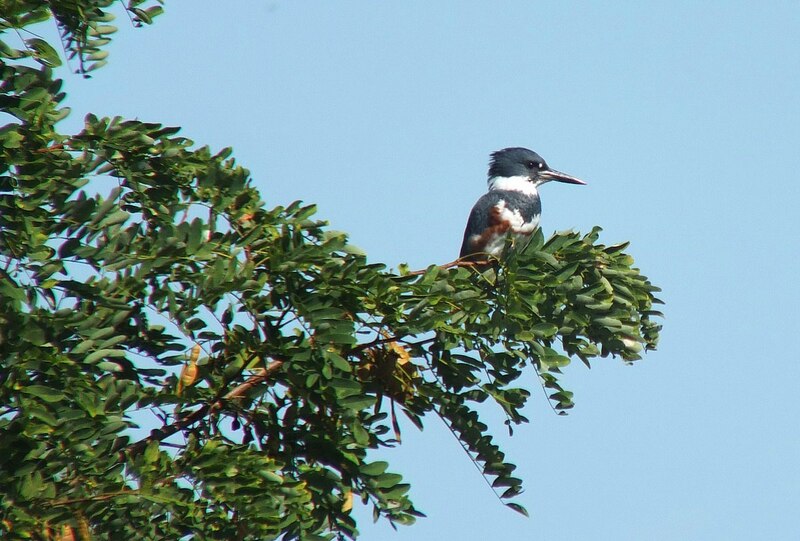 The observation deck affords an excellent view of the pond, but from its lofty perch, the Belted Kingfisher could spot desirable prey in the water. It made at least a couple of dives to capture fish while we looked on, but I was not quick enough to capture those moments. 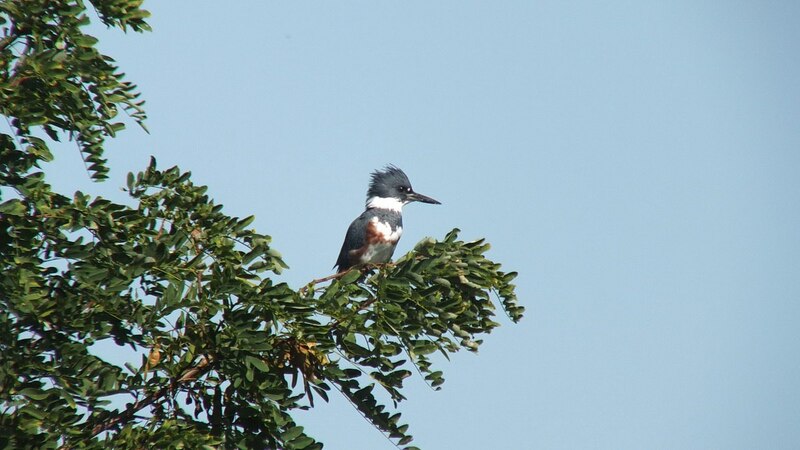 Bob and I were able to identify this Belted Kingfisher as a female because she has not only a blue band across her white chest but also a chestnut-coloured band, a characteristic not seen in the males. If you can catch a Kingfisher sitting still long enough, it is possible to take note of its long, straight, heavy beak which is used like pincers to grab prey below the water’s surface. 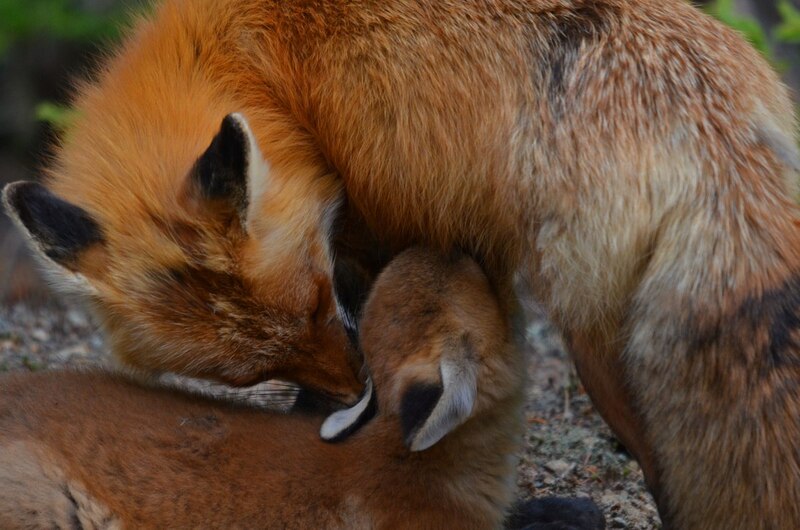 They eat not only fish and crayfish but also other crustaceans, amphibians, reptiles, small birds and mammals and even berries. 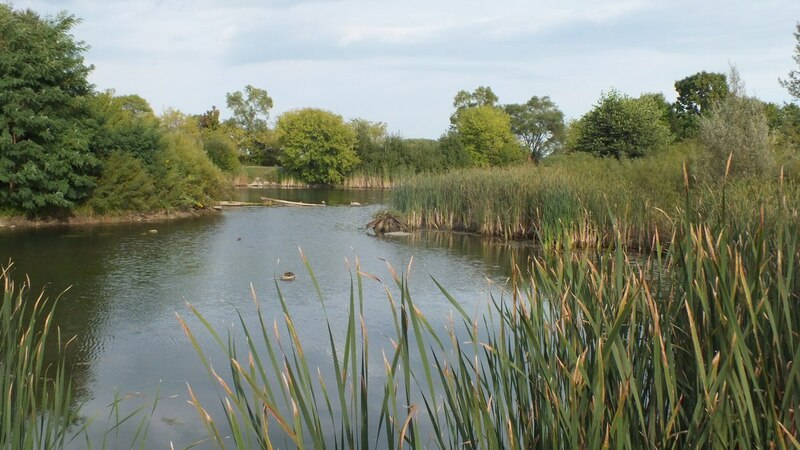 Ideal habitat for Belt Kingfishers includes clear water through which the birds can spot prey, trees overhanging the water’s edge with an unobstructed view, and the availability of vertical earthen banks within which to dig their nest holes or burrows. These energetic birds have an unusual physique in that they appear top heavy. The large blue head sits atop a short, stocky body and assumes prominence because of its obvious double-pointed crest. 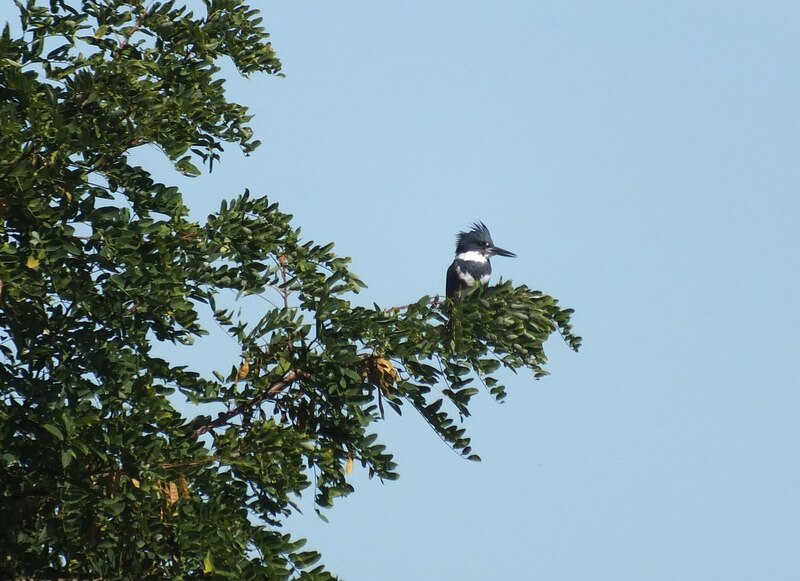 Bob and I were indeed lucky to find this Belted Kingfisher perched on a favorite tree limb as these birds so often do when patrolling a shoreline or defending their territory. In the blink of an eye, this female took off towards Lake Ontario.